How to Convert AVI to MOV Online? 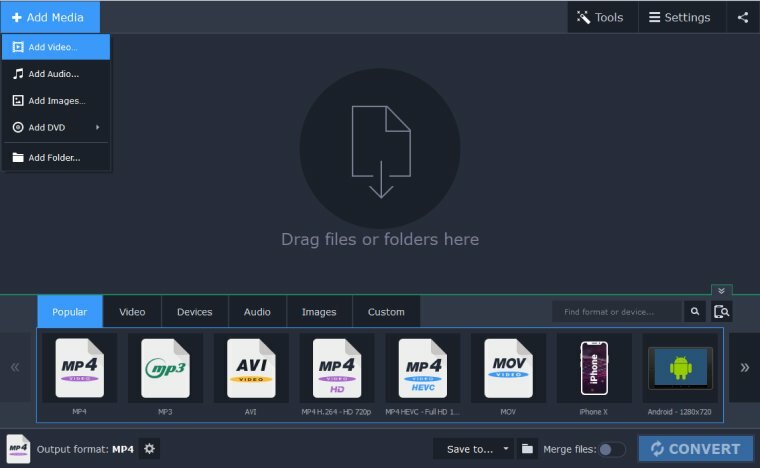 How to Convert from AVI to MOV on Your PC or Mac? Is your AVI video file over 100 MB? Try our premium desktop app! 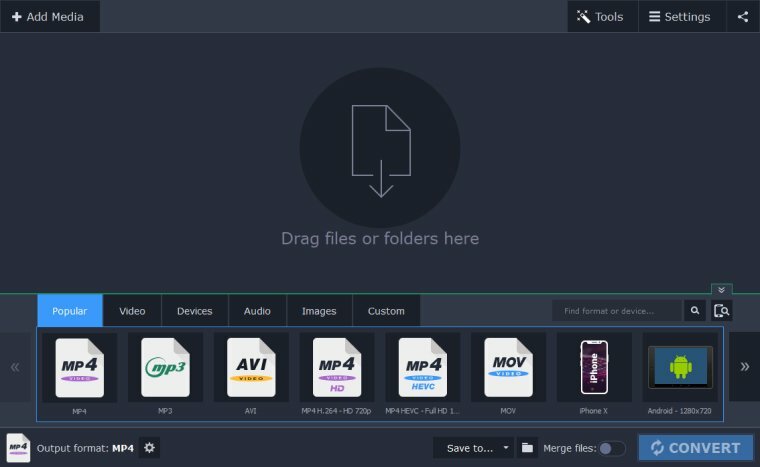 Almost all of online conversion services have restrictions on the size of file you can upload, so if your file is larger than 100 MB, you won’t be able to convert AVI to MOV online using this website. But that’s no reason to give up, as there’s a great desktop solution hat’s just as easy and fast as our online service – SuperSpeed Video Converter. You’ll have no problem converting AVI to MOV, no matter how big the original files are! Download the Mac or Windows version and follow the guide below to start converting right away. Open the downloaded file and follow the on-screen instructions to install the program. When the software is installed, simply double-click on the icon to launch it. Click Add Media in the top left corner of the program, choose Add Video and select the AVI files you want to add. 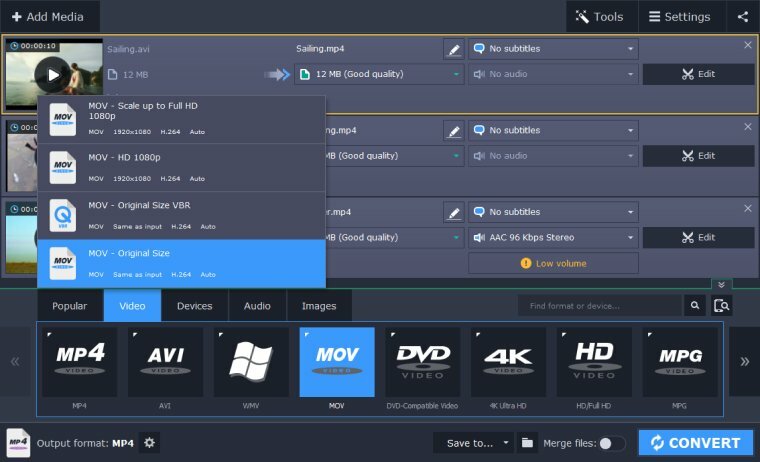 You can also simply drag and drop your videos onto the program interface. Click the Video tab, find the MOV preset group, and choose the appropriate preset for your needs. For the best quality output files, choose the Original Size preset. Click the Folder icon to change the destination folder if you want. When everything is ready, simply hit Convert and wait for the files to be converted. 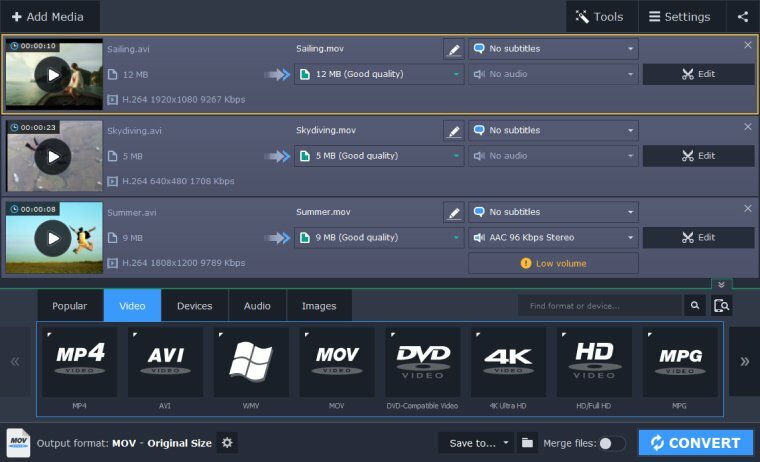 SuperSpeed Video Converter is a fast, easy-to-use tool for converting your AVI files to the QuickTime video format. Download the version for Mac (OS X 10.7 or higher) or Windows (XP/Vista/7/8/10) and try it out for yourself.